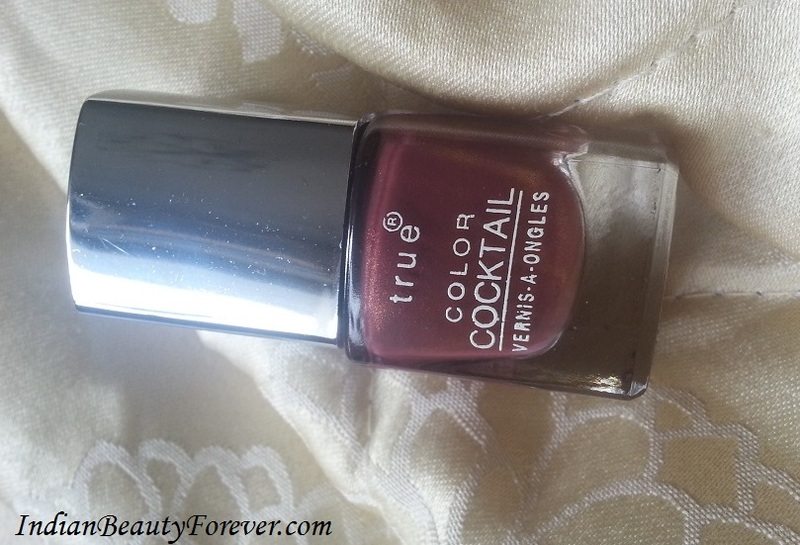 Although I can't remember where I bought this one from; I was applying the shade yesterday on my nails and loved it so much that couldn't refrain from sharing a review with you all. So, more than the review it will be a swatch post! I really hope you like it. Description of shade: It is very pretty deep berry shade. It would suit all skin tones and can be worn any time. 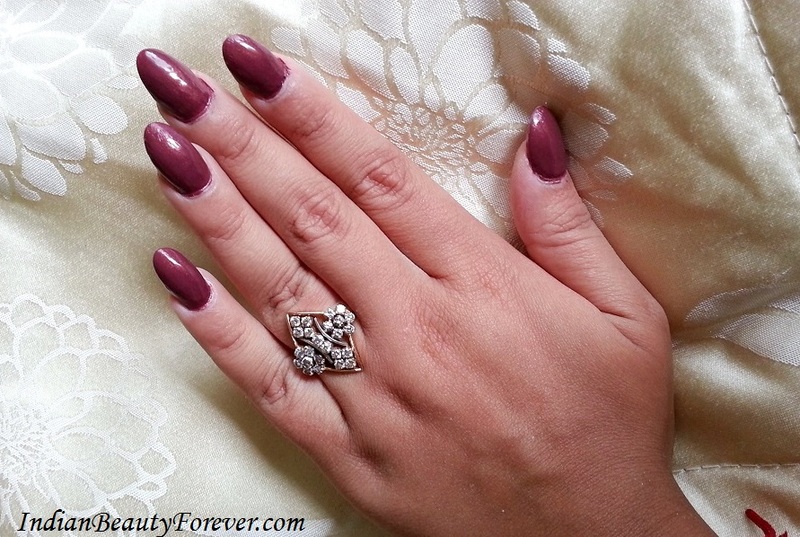 It gives your nails the perfect flawless finished look. The colour is simply adorable, very bright and highly pigmented. It has a beautiful shine and very easy to apply. Packaging: It comes in a medium size, square shape bottle which looks really elegant. The lid of the bottle is very classy, loved its mirror type effect. There is a white sticker pasted on the upper side of the lid which tells about the shade of lipstick. The brush is perfect as allows you to get the optimum amount of polish and easily paints your nails. It is very sturdy and travel friendly. The size of bottle looks bulky but can easily fits into your purse. 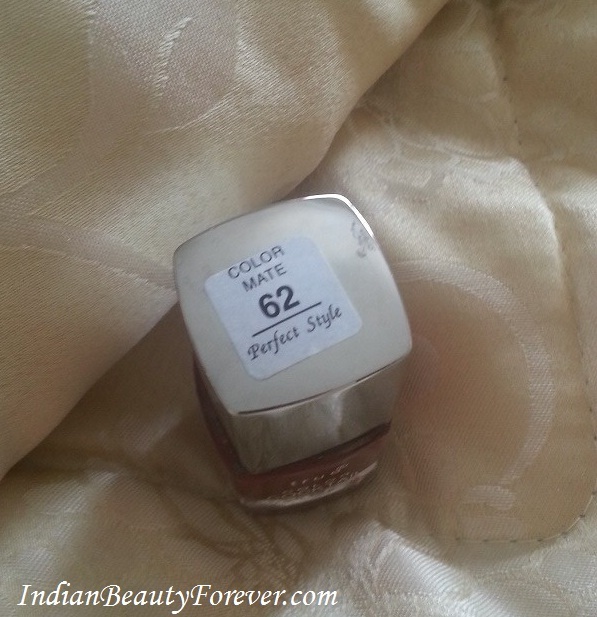 Texture: It has cream finish and very pigmented; one swipe is enough to give the exact colour in the bottle. It contains golden shimmers as well but hardly visible on nails. It gives sometimes metallic look as well which I loved the most. I applied two coats and trust me it dried very quickly and surprised me. The formula and the consistency are good. It has very strong fragrance but it does fade away quickly. Final Verdict : I just love the shade. Pigmentation and staying power is superb but don't know the price and availability as can't recall. Apologies for that but still wanted to share with you this pretty shade. Packaging looks like Chanel nail paints. I just love the packaging - very classy and chic. aww..my mum gifted me that one..her choice is awesome.. 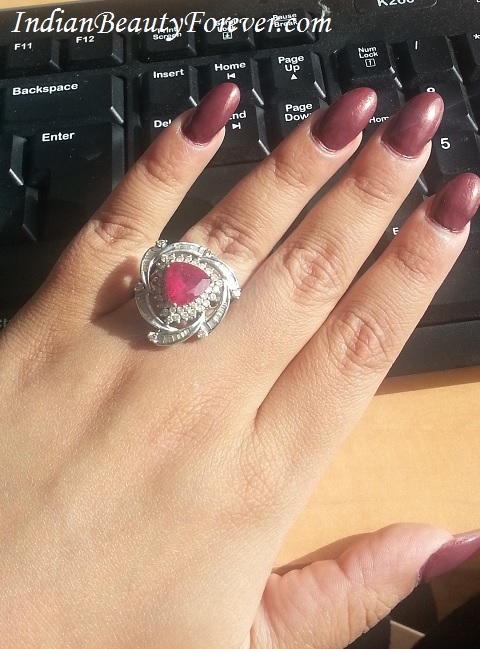 Thank you so much niesha for posting..a big hug n love ♥..the ring mum gifted me last year...waiting for another one..lol..
so beautiful color teji and your already pretty hand look more beautiful with this !!!!!!!!!! hi teji or niesha i start commenting with my own name jannat my daughter name and it create confusion too only my google profile on her name and i can't change it right now because of google policies. :D Even I got confused Earlier but Know I know. :) I know google won't let you change the name, I think more than twice. Yesterday when u commented on my post i recognised you raminder.. 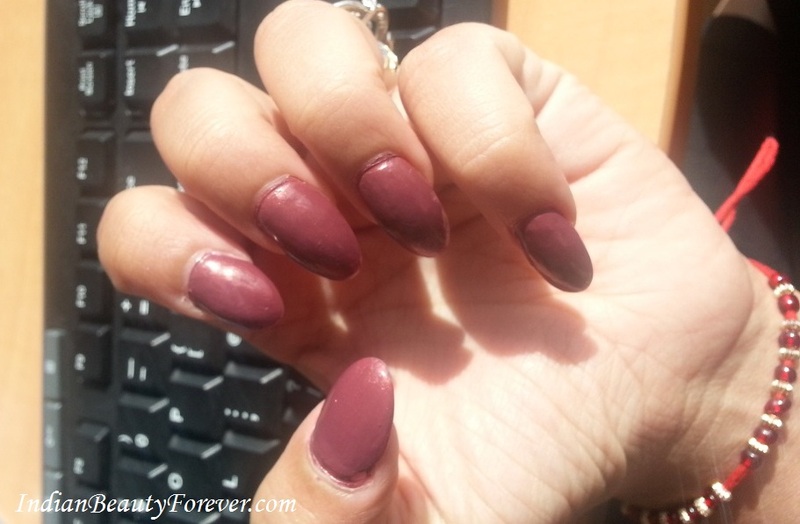 I loved the shade..perfect for fall time in my opinion..
so delicate and matte... like a blush! Love your nails Tej! The shade is also very pretty! Very nice chic colour Tejinder!!! I would also like it for winter. 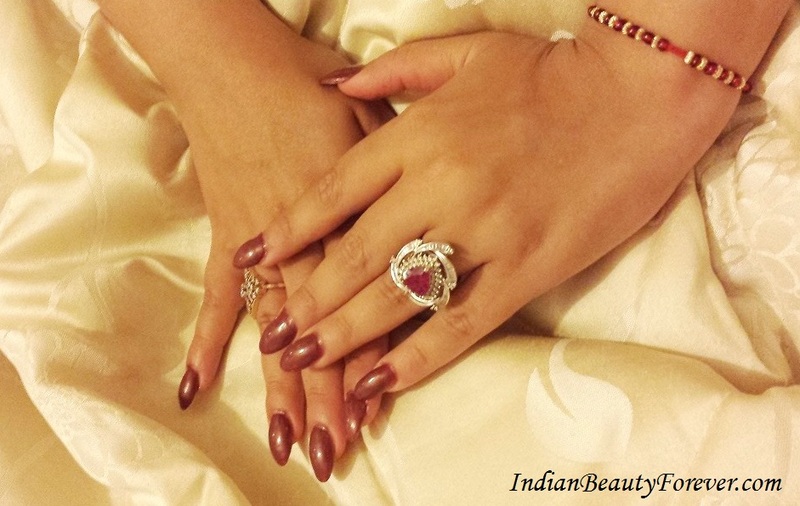 beautiful nails n nail color tej .. loved the way u took d snap ..
ohh hoo.. kitna late ho gai mai..
chaloo bachi khuchi tareef mai bi kar deti hun.. the nail paint and the ring combo is just beautifull.. definitely ring here stole the show for me..